As we make our way through the part of the city that suffered the highest consequences of the war we get ambushed by a horde of zombies. 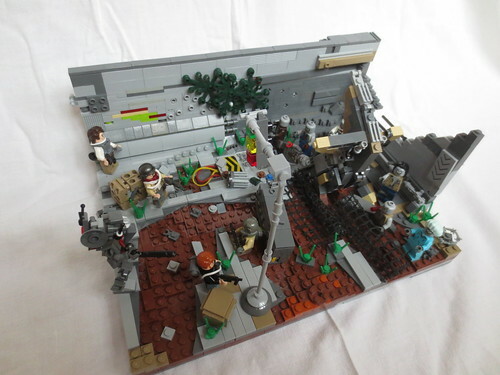 For TheRemnant, also for BestBrickr. This is the dio shot of the scene, I had to take it in really bad lighting, so excuse the extremely crappy picture. I hope this lets you see some more of the details. Luckily, that also means I now have enough parts for the Upcoming MocAthlon ! Inspirations and people I'd like feed back from are added.